A couple of years ago, I wrote just about the most rave review of my career — a love letter to Canon’s then-new S90 point-and-shoot camera. 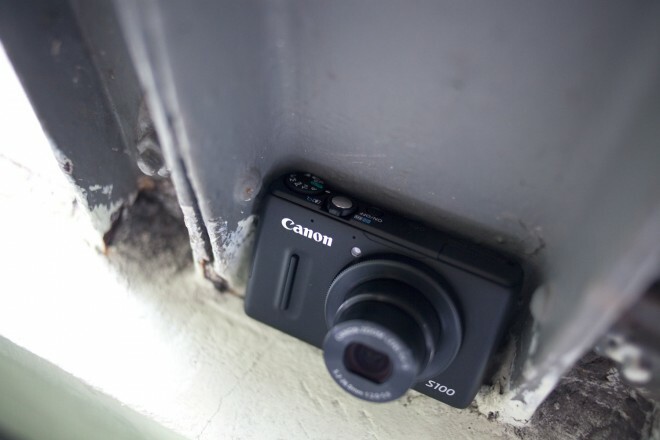 So, here is the good news: Two years and two models later, the successor to the S90, the Canon PowerShot S100, is even better by just about every measure. The lens still is nice and fast at the wide end, down to f2. The zoom is slightly better, now 24-120mm equivalent. In our testing, the S100 handled every situation we threw at it beautifully. From portraits of preschoolers to landscape shots at dawn, I was very happy with the results. It’s got Canon’s latest Digic V image processing chip. It’s got GPS now, so you can tag your photos, and if you’re going to shoot video, it will now take full 1080p. The case has been slightly tweaked, including a subtle hand-hold on the front that answers the prayers of all of us S90 owners who dropped it more than once. In our testing, the S100 handled every situation we threw at it beautifully. Focus is faster than the S90, and it deals with low-light even more gracefully. From portraits of preschoolers to landscape shots at dawn, I was very happy with the results. Images had the typical Canon slight color over-saturation, but that can be handled in post-processing. The S100 is a great camera, a camera you will be thrilled with if you buy it. But I’m not sure you should. If you’re the sort of person who buys a camera to take quick shots of the kids when they’re blowing out the candles on their birthday cake, you don’t need a camera like the S100. In fact you probably don’t need a camera at all. Those utility photos that used to be the realm of the cheap point-and-shoot rig are now completely the property of your cell phone. Don’t talk yourself into buying a point and shoot — spring for an iPhone instead. For instance, the iPhone 4S actually will take photos faster than the S100. With the iPhone, there’s a lag of about 0.8 seconds between each shot; the S100 manages 1.2 seconds between shots. (The S100 does have a burst mode for multiple shots. This is the recovery time between single shots.) The iPhone also has a great sensor for its size, and some very clever software and filtering to make your casual snaps look great. And it’s in your pocket already. Most people who take pictures don’t want to think about ISO, or what the zoom equivalent is, or how to adjust white balance, or debate the merits of RAW vs. JPEG. They just want a picture. They want what my friend Rob Capps called Good Enough. The S100 isn’t a camera for Good Enough. It’s not a point-and-shoot. It’s a think-and-compose-and-tweak-and-fuss. For dedicated photographers, to have the level of power and control that the S100 offers in such a small form factor is still thrilling — that’s what has made this whole series so successful. So, if you’re that kind of photographer, and you’re looking for something small, the Canon S100 is still at the top of the heap. But just make sure you really need it. WIRED All the stuff that made its predecessors great, with some nice new features like GPS and full HD video. CMOS sensor uses tech from Canon’s DSLR line. TIRED More camera than many need; and perhaps less than pros would demand. Dedicated movie button on backside eliminates one photo control.